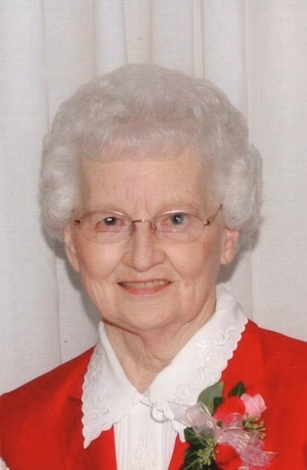 Edna Irene Warrens, age 88, resident of Shelby died Monday April 8, 2019 in Elmcroft of Ontario. Born December 17, 1930 in Hueysville, KY to Troy and Eliza (Conley) Reed she had been a Shelby resident since the 1950's. She attended Alice Lloyd College and Morehead State University and had received her Bachelors Degree in Education from Ashland University. Irene was formerly employed as a teacher with St. Mary's Elementary School and had taught third grade at Buckeye East Elementary School in Tiro retiring in 1991. She was a member of Taylortown Community Church for over fifty years. Irene enjoyed reading, gardening, crocheting and watching her grandchildren's sporting events. Survivors include three daughters Kathie Wildman and Howard Knapp of Shelby, Sharon (Eric) Barkdull of Shelby and Carolyn Warrens and fianceé Doug Russell of Lexington; five grandchildren Ashley (Jon) Gaupp, Zach (Crystal) Wildman, Troy Wildman, Ian Barkdull and Collin (Desiree) Barkdull; four great grandchildren Madison and Noah Gaupp, Tegan Barkdull and Devyn Wildman. She was preceded in death by her parents Troy and Eliza (Conley) Reed. Funeral services will be held 10AM Saturday April 13, 2019 from the Barkdull Funeral Home. Pastor Doug Tackett will officiate with interment in Oakland Cemetery. Friends may call at the funeral home Friday from 5 to 7 PM. In lieu of flowers memorial expressions may be made to the Taylortown Community Church, 2656 Taylortown Rd., Shelby, OH 44875 or Hospice of NCO, 1050 Dauch Dr., Ashland, OH. 44805.